Go to Fancy Product Designer → Fancy Fonts. Here you set font names separated by a comma, that are installed on all systems, like Arial, Times etc. . 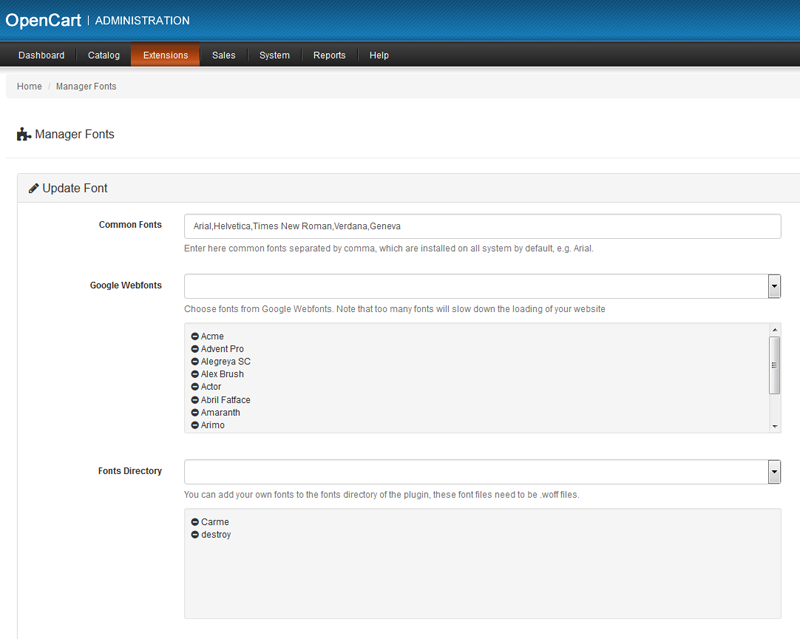 Select from over 600 Google Webfonts, you can choose multiple fonts. To add custom fonts to the dropdown, you can add fonts in file "webFontNames.txt" from directory "image/data/webFontNames.txt". Here you set font names separated by a comma.